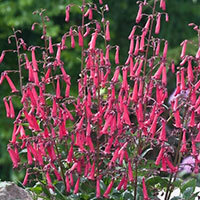 'Cherry Ripe' is commonly known as Cape figwort or Cape fuchsia. The leaves are dark purple, almost black in cooler weather becoming greener through the growing season. 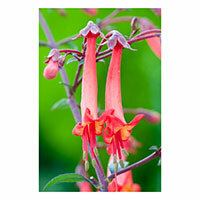 Dangling, orange red blooms appear in early summer.